This noisy gregarious bird is commonly found in open woodland areas, although it has been recorded on campus it is very common in drier areas. 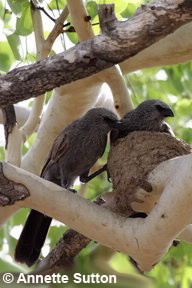 These ground feeding birds are found in groups of 6 or more, there may even be up to about 100 in a group. 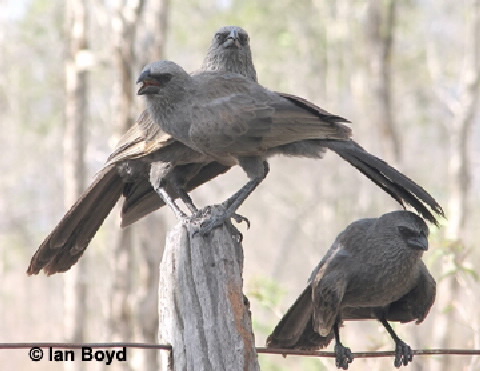 Body is grey with some darker flecks, head is grey, wings brownish, the long tail is black. Legs and feet dark grey to black, eyes brown, bill black.